I've long been a big fan of modern attempts to cook medieval cuisine (see: Medievalcookery.com, University of Chicago Press' The Medieval Kitchen, and all the various scanned, historic cookbooks available through Wikipedia). There's something about the cultural anthropology of food that just really appeals to me. Plus, I love the way historic cookbooks assume you know how to do then-basic parts of household labor and will start a recipe with instructions like, "First, butcher and dress a pig." Oh, okay. Sure. The Inn at the Crossroads blog combines the geeky joy I get from medieval cooking with the geeky joy I get from George R. R. Martin's A Song of Ice and Fire series. The results: A brilliant collection of recipes for dishes mentioned in all five of Martin's novels, many developed using medieval cookbooks and techniques. In a way, this blog is almost inevitable. I haven't read a series of books this obsessed with the food its characters eat since Little House on the Prairie. Unlike Laura Ingalls Wilder, however, George R. R. Martin doesn't provide much instruction in how to make that food. 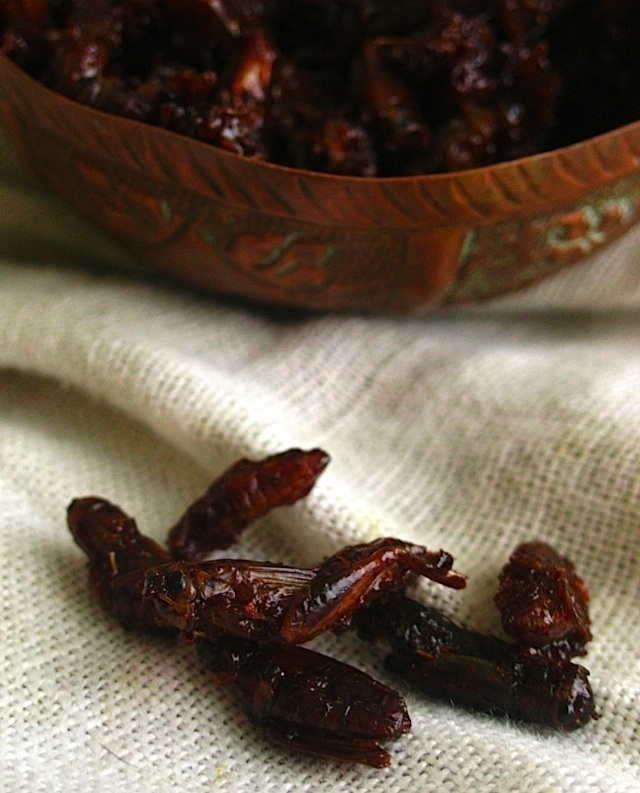 So bloggers Sariann and Chelsea should get serious props for reverse-engineering recipes for everything from medieval pork pie , to marinated goat with honey, to honey-spiced "locusts" (actually crickets). This is one of those food blogs that's totally worth gawking over, even if you never plan on cooking the recipes.